How do you keep the momentum going? I vacillate so much on my work in progress and it doesn’t take much to trigger the double-headed dragon of Self-Doubt and Procrastination into action. So what triggered this week’s reappearance of the debilitating dragon? I read one sentence in The Sydney Morning Herald with a book title to be released in a few months that sounded oddly familiar, oddly like ‘Beyond Happily Ever After.’ But the first word was missing and there was a question mark at the end. So I googled it with the author’s name and came upon the order form. On the third page of the order form, the title was sitting right next to Erica Hayes’ Shadowglass (of which I won an ARC on Twitter from Pan Macmillan during the week -woohoo!) and the concept of this other book also sounds very similar to mine: what happens to the girl after she marries her handsome prince. 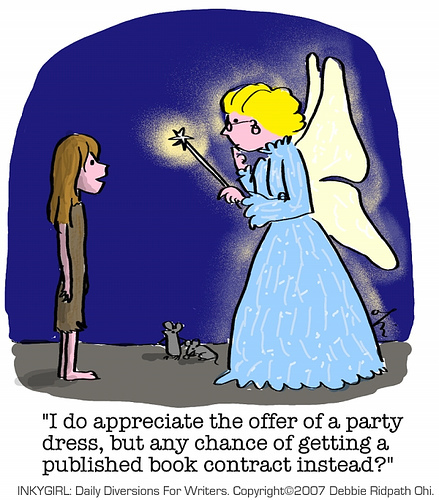 Though it does not appear to use actual fairytale characters as I have. But then my dragon fully came to life and kept bellowing flames at me ‘I’m not worthy!’ And just to prove it, I did minimal editing last week. Last night, I came across another blog post from by Mary Danielson: “Your Book is Different“. Mary had a similar experience very recently and ended up listing a number of reasons why her book is different to the one that had been listed in the publishing deals. 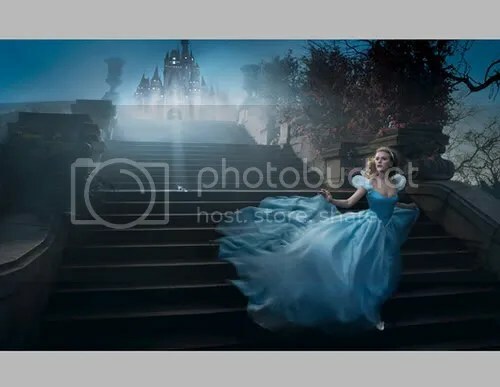 it is a unique twist of fairytale that combines Cinderella and Snow White’s stories as they have married princes who are cousins. I feel better already. I bought a Disney scrapbook with Cinderella on the front and Snow White on the back to collage the story. (plan to do the collage in chronological order which is not how the story appears – mmm, that may be another point of difference) and I have been making red marks on printouts of the pages. So it’s back to caging the dragons, ignoring the self-doubt and declaring myself worthy and UNIQUE. And back to editing. I WILL finish editing this story by the end of February! MY Cinderella has a ball to go to. Don’t give up, Di, keep going, 30 pages to go then woo hoo. Something to celebrate on Friday Night Chat, hey. I agree, authors would come across storylines similar to theirs all the time. And like you said, your story is different and unique that’s all that matters. It sounds great! Maybe next Friday night chat…I’ll be celebrating (or the one after). Why does this hypothetical deadline keep moving? Oh Diane, no don’t give up. Like you said, you have your own voice and re-telling of fairy tales is something that will always happen. I can’t wait to see Beyond Happily Ever After on the shelves one day. Good luck!! No giving up here, just trying to break through the Editor’s Block – but the solution is in one writing mantra ‘Rewrite Edit Submit’. Yay! on winning Shadowglass! Hope you enjoy it! Jenny who? Yep love it. I’m sure I will enjoy Shadowglass, Erica…just wish there were more hours in the day so I could do the day job, write, edit AND read. along with all the RWA adminy type stuff.